Irene Adler: Do you know the big problem with a disguise, Mr. Holmes? However hard you try, it's always a self-portrait. Sherlock: You think I'm a vicar with a bleeding face? Irene Adler: No, I think you're damaged, delusional and believe in a higher power. In your case it's yourself. According to Guinness World Records, Sherlock Holmes is the single most portrayed literary human character ever. There’s just something about this middle-aged white bloke in a deer-stalker that awakens the fanatic in a person. In modern times, we tend to shape him in the image of our own cultural mores (as we have Doctor Who). Watching the representative Holmes of each decade is almost like an automatic acid test of the zeitgeist. The latest two, in particular, highlight our modern take on heroes. In the original stories, Holmes was, at heart, a consummate Victorian gentleman. 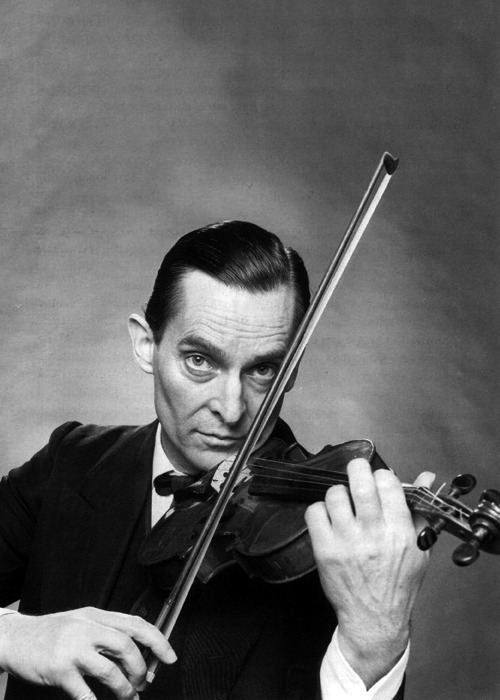 Of course, he had his eccentricities: the cocaine, the odd hours, the violin. He was abrasive and sometimes sarcastic, but compared to later incarnations, a master of manners. Even the villains exemplify good form, and the few that don't are vilified in the extreme (interestingly, Moriarty is quite the gentleman). Holmes had no romantic relationships; he never even had a full conversation with the infamous (and also rather virtuous) Irene Adler. We knew little about his childhood or background, and there was no reason to suspect that it was anything but blissfully normal. Earlier Holmeses were true to this, but in the ensuing decades the character was questioned, inverted, or placed in very non-Victorian predicaments. This general mood of iconoclasm intensified as time passed, though Jeremy Brett—widely considered the most faithful portrayal—kept much of Holmes’s class. Still, he focused on the detective’s mercurial qualities, the mood swings and cocaine addiction, reflecting his own bipolar disorder. The Great Detective once again leapt to the world stage with the blockbuster Robert Downey Jr. film, a loose adaptation by any standard. His zany Holmes emphasizes the original's talent in boxing and Japanese martial arts, addiction to detection work, and poor social skills. But even Downey Jr. with all his star power is eclipsed by the massively popular BBC series Sherlock, featuring Benedict Cumberbatch. This version of Holmes is a petulant man-child unable to cope with the banalities of ordinary existence, and immature in the extreme. For fans, he has a legion of teenage girls. I might just as easily point to all the TV detectives with dark pasts - murdered family members, drinking problems, disappointments in romance (except good ol' Foyle of course). Miller Holmes is crippled by doubts, but has a fairly positive social life. Cumberbatch Holmes is "haughtily free of introspection," but he’s living a far from healthy normal life. Neither of our heroes can have normal emotional centers and be extraordinary at the same time. It’s an either/or situation—either Sherlock Holmes is a genius with no ability to handle ordinary life, or he’s an empathetic New York-dweller that’s just an average crime-solver. We can’t quite cope with an Aragorn or a Sherlock with no deep internal—Miller—or external—Cumberbatch—problems. 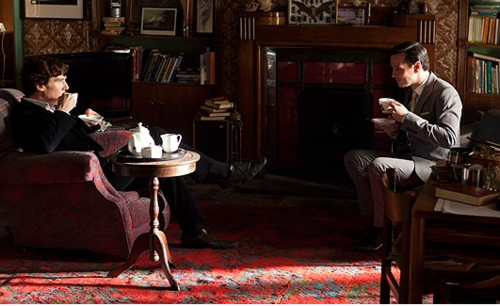 “Heroes don’t exist, John—and if they did I wouldn’t be one of them,” says Holmes in the first season of Sherlock. All confident heroes believe in something—justice, defeating Sauron, the rightness of their mission, God, some moral principle, themselves. Of course, those things are more or less worthy of their belief, but they don’t sit around worrying about it. Generally, the weakest of these heroes are those with a high level of self-belief, like the titular character in Lawrence of Arabia, and the strongest those with faith in something outside of them, like Thomas More of A Man for All Seasons. Sherlock Holmes was originally a strong believer: in reason, in justice, and even a little in Providence. Besides eroding these qualities in modern incarnations, we’ve attempted to humanize the result. 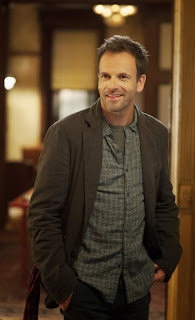 Because of this lack of backbone in any area, Miller Holmes is so predictable that he’s barely worth watching. Cumberbatch Holmes does, at first, offer more interest. 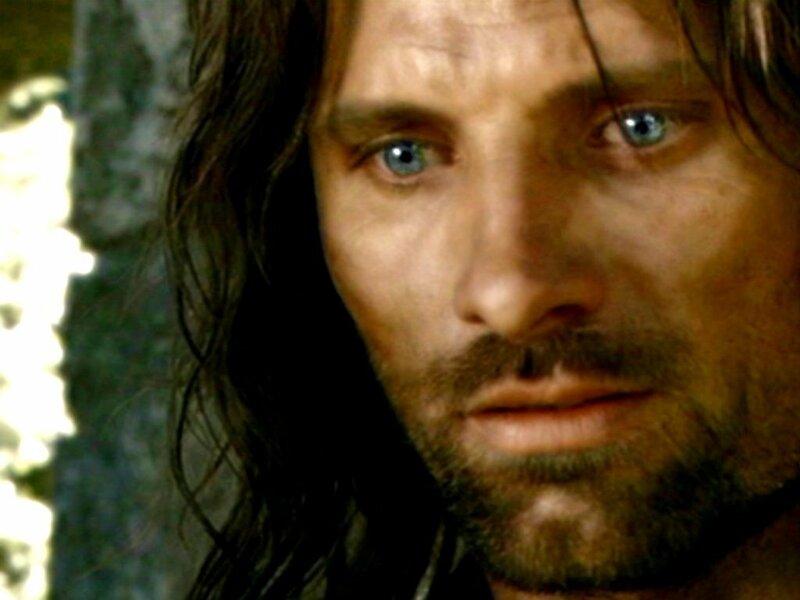 He doesn’t fall under The Aragorn Complex (though, to some extent in season three, The Aragorn Effect). He does suffer from what Chesterton called the madness of those who live by reason alone, trapped in a sterile, narrow existence that misses obvious truths (like a mother’s love for her still-born daughter, or the workings of the solar system.) This extreme self-belief is not remedied by more of the same, but by a healthier respect for morality and the heart. Chesterton said “The madman is not the man who has lost his reason. The madman is the man who has lost everything except his reason.” Sounds rather like a high-functioning sociopath (which Holmes almost is). A relentless reasoner will end by spiraling into nonsense in the name of logic, unless his reason is tempered by that favorite of GKC's virtues: common sense. And who better to provide that deficiency but that ultimate pillar of down-to-earth wisdom: Martin Freeman's John Watson. Then there's the conundrum that "Caring is not an advantage." Sherlock obviously cares. Like the Holmes of Conan Doyle, he is always denying this (frequently describing himself as a "highly-functioning sociopath," even as his actions disprove the fact), but the thing is, I don't think caring has to be a disadvantage. It is only ever a disadvantage if it is built on a lie…. [the writers] should read The Abolition of Man: "The heart never takes the place of the head: but it can, and should, obey it." I still think Basil Rathbone was the most natural and enjoyable Holmes, but the stories weren't classic, and because he did so little work with the character, he never really got much of an arc with it by comparison with Brett or Cumberbatch. I love this essay and had forgotten about the rose monologue. Now the Sidney Paget illustration is coming back to me! It reinforces that the Brett portrait, though flawed, may be the closest we're going to get to the Holmes of the stories. In general, I agree with your thesis---within our current cultural milieu, heroes must necessarily be grayed over, while villains must be made sympathetic at every possible opportunity, no matter how iconic. (The Big Bad Wolf was framed! Maleficent was date-raped and lost her wings!) In this respect, I think The Dark Knight was a little pernicious, besides being overrated in general IMO, but that's just my opinion and I know I'm in the minority! I never have been able to get into Rathbone, though to be fair I've only seen The Voice of Terror. Brett is good but his histrionics take a while to get used to. (Rrrrrreligion? Really?) Cumberbatch is trying for something completely different with the character. Personally, my favorite is Clive Merrison of the radio adaptations (as was Brett's). Yeah, I have a feeling I may not like The Dark Knight for that very reason - though that's another thing I haven't seen yet. Sometimes some moral clarity is a good thing. I mention A Man for All Seasons in this essay - it's hard to think of a better example, except perhaps Foyle's War (which I'm writing about next.) They're both terrific. This has given me a lot to think about, in understanding characters. I found some aspects of Sherlock (though I'm nowhere near as familiar with is adaptions as you quite obviously are) that you pointed out that I found myself nodding to, and other things that really made me pause and think--granted, those were aspects that were from other renditions that I hadn't seen, but still, it made me think of characterization, and humanizing. I think there is a fine balance in how we treat villains or "human" heroes--there can be too much sympathy, where the moral of justice and free choice is still overlooked, but then there are times where I think that the story is presented very powerfully. One of the reasons I enjoy watching Sherlock (Cumberbatch's) is that the show always challenges me to look more into what makes a person who they are, how their mindset, personality, and life makes them who they are. The show challenges me to deduce what exactly makes the characters do/believe certain things! Etc. I'm actually a fan of The Dark Knight--I liked that it showed the transformation of Two Face, I found it very believable--but what I appreciated in the end was that Gordon and Batman weren't condoning anything. Batman just wanted to preserve what good Harvey had done--and which had made the people believe that change for the better was coming. He wanted to preserve their faith. Too much sympathy would have killed this element of the story, but thankfully, to my mind, the writers kept it balanced. Don't get me wrong - introspective heroes have their place. My only issue is that it's becoming a trope. And I don't like (as I've said before), how they're making certain changes in Sherlock's character. His mind is way too important to him to let it be clouded by emotion - it's not something he would do. And of course, people who are confident in their beliefs are also prone to problems - but these days we encounter so *few* people like that in films, that each one is like a breath of fresh air. As Chesterton puts it: "We are on the road to producing a race of men too mentally modest to believe in the multiplication table."